Nathan Kilcourse explains to Myprotein how he found it possible to manage marathon training… even after being diagnosed with Type 1 diabetes. “I’ve had a considerable amount of success in the three marathons that I’ve completed this year. Most recently, I finished second at The Plusnet Yorkshire Marathon and set a new personal best of 2:24:35. I was diagnosed with type 1 diabetes at 19 years old in 2009, and for four years, I struggled to manage my diabetes around my training. This led to a complete two year break from the sport, and during this time, I experienced a number of health-related difficulties. “Throughout 2014 I was mainly racing in 10 kilometre races and consistently running 60 miles per week. My blood sugar levels were regularly high after races which was a major concern for me. After making the decision to experiment with the distance and intensity of my training, I noticed that longer distance runs weren’t causing the excessively high readings that were evident during shorter distance races. Therefore, I increased my weekly mileage and adapted my training. My performances in half marathons and marathons began to show that I was much more suited to longer distance races. Most importantly, my post-race blood sugar readings were considerably lower. This was the determining factor in my decision to classify myself as a marathon runner. During marathon training my training load is considerably higher than usual, and I generally average around 100 miles per week. Managing my diabetes around a heavy training schedule requires great preparation and routine plays an essential role in my management. Any large increases in mileage often increase my sensitivity to insulin. I calculate my insulin in relation to carbohydrate intake using the following equation (25g carbohydrates = 1 unit). “I often experiment with gel intake during training in order to gain a better understand as to when I require additional carbohydrates. 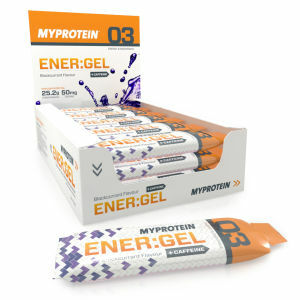 I consume energy gels during a marathon in order to prevent any occurrences of hypoglycaemia. 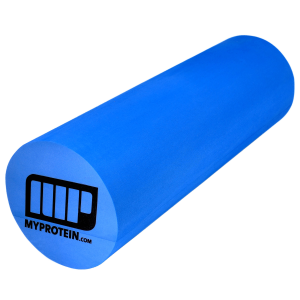 Each gel contains 25g carbohydrates which highlights the large amount of additional carbohydrates that I require. In the later stages of a marathon, glycogen stores at risk of depletion and the body naturally turns to fat as the predominant fuel source. “Nutrition plays a crucial role in supplying me essential nutrients, maximising recovery, and maintaining stable blood sugar readings. Below I have included a number of foods that are particularly important for me when managing my diabetes around marathon training. Oats are always my first choice of breakfast. The slow release of carbohydrates prevent any sudden alterations in my blood sugar levels. I have seen noticeable digestive improvements by having water in my porridge instead of milk. I also include one banana and a few grapes to my porridge, which provides enough flavour to the meal without causing the hyperglycaemic effects of other alternatives, such as jam or honey. Pasta is easily digestible and provides slow-release energy. Pasta is a varied low fat meal, and combined with low-fat protein, it makes for an excellent pre/post run meal. I often include tuna or chicken in my pasta along with a low-fat tomato based sauce. Similar to pasta, rice is also an excellent source of food for long-distance runners. It is both easy to prepare and readily available. I always opt for boiled or steamed rice rather than frying it, otherwise I’ll be adding unnecessary calories. Chicken is usually my source of protein with any rice meal. Potatoes are easy to digest and rank high on the glycaemic index which means their carbs get into the bloodstream fast. This makes potatoes an ideal source of carbohydrates between multiple training sessions when glycogen stores needs to be replenished quickly. Baked beans, low-fat chilli, and tuna are my regular sources of protein with potatoes. Everybody should be aiming to consume their five-a-day but runners should try to consume more, due to their greater energy and nutritional requirements. Vegetables are a key component of my evening meal. I often prepare a fruit salad using banana, grapes, apples, and strawberries topped with fat-free yogurt. Water is a key component for runners because of the considerable amount of fluid lost through sweating and on the breath. Therefore, even in cold weather conditions, one should still focus on hydration. 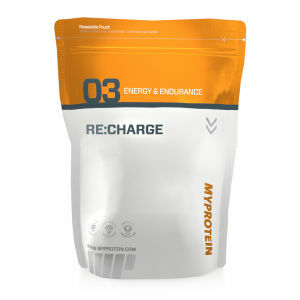 I try to consume a minimum of 3 litres a day, especially when completing double training sessions. Before I enter my next phase of marathon training in preparation for Greater Manchester Marathon, I will be looking at ways to improve my diabetes management. The quality and quantity of my training will be much higher when I begin marathon-specific training. Also, longer tempo runs will play a more important role in my next block of marathon training! This training runs allow me to accurately experiment with my gel intake whilst running close to marathon pace. “Completing a marathon requires great preparation. Training is the platform for experimenting and finding a trusted race strategy.